At Lighting One, we’re always excited about a new year and the new trends that it brings. When it comes to color and decor, every homeowner has their own preferences, but if you’re looking to add a modern touch to your home, then it’s important to keep up on the latest trends. Color and decor are great on their own, but without the proper lighting, there’s no way to see the updates that you’ve made. 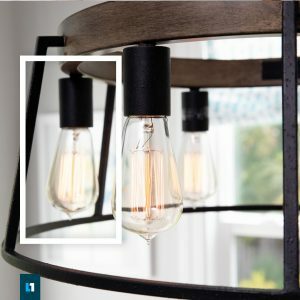 Leading lighting manufacturers such as Quoizel are always up-to-date with their fixtures and how they fit with the newest color and decor trends. 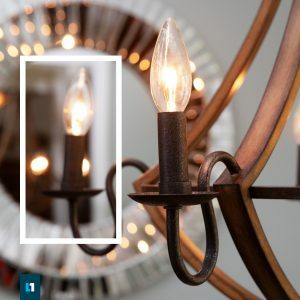 Our member showrooms are filled with outstanding options for every home, and in this post, we’ll look at some trends for the new year and how you can fit new lighting into your design. You might not be building a new home this year, but you may be planning on repainting some rooms that haven’t been updated in many years. You may have a favorite color that you already plan to use, but how will it look in your home, especially when paired with new lighting? What Colors Will be Popular? Pinks and corals are destined to be popular this year, and they can be great choices for smaller rooms such as guest bedrooms or a kids’ playroom. Greens and blues will also likely prove to be popular, with the greens leaning toward the forest and hunter varieties, while the blues will be darker and more saturated. These shades of green can look amazing in a master bath, and when paired with new bathroom sconces from Quoizel, they can breathe new life into the space. As for the darker blues, they’re a great choice for rooms with lots of natural light. You’ll also want to consider how your artificial light will work with the blue hues, in the form of table lamps, floor lamps, and ceiling fixtures. Darker colors can absorb a lot of light, and you’ll want to be sure your movable fixtures are in the proper places. You likely have a few pieces of decor that you’ll always find a way to incorporate into your interior design. The right piece in the right place can make a room feel complete, but if you’re thinking about redecorating in the new year, then there are some trends to consider for 2019. Natural-inspired materials such as wood and stone have gained more and more popularity over the years, and that trend doesn’t seem to be slowing down in 2019. People want to bring the outside in, and there are plenty of natural-looking decor options from which to choose. Your new lighting should reflect the choice to make your home feel more organic, and with everything from chandeliers to accent lamps, Quoizel and Lighting One have your covered. Whether you live in a studio apartment or a two-story house, you want to make the most of each room. Compact spaces can present challenges when it comes to decor, since you don’t want a small room to feel cluttered. Smaller, more functional furniture and decor without all the embellishments can give a compact space the look and feel you want, and lights in the right places will make the room behave how you want. You can make a statement with a unique pattern and lighting on the ceiling, while the walls and floor are left mostly clear, save for the chosen pieces of furniture and decor. Color and decor trends come and go, and each new year presents new options for every homeowner. If you’re planning to make updates this year, then it’s imperative to find the right lighting for each space. Updating your ceiling fixtures or adding another lamp or two can make a newly painted or decorated room feel complete, and you’ll love how well the upgraded space fits your lifestyle and personality. 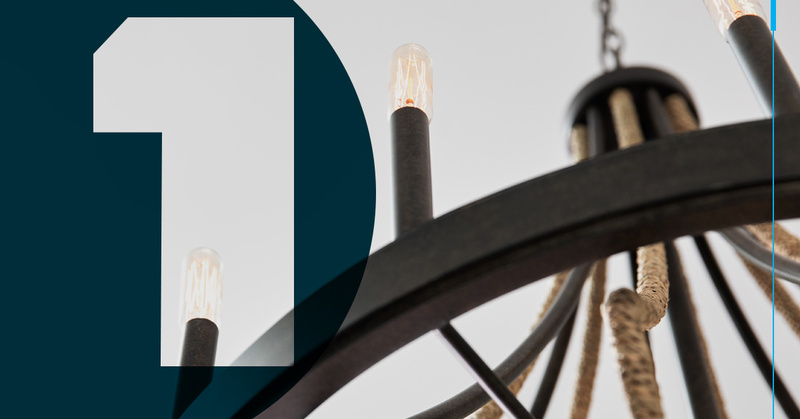 Let Lighting One help you choose new lighting by visiting one of our member showrooms today. 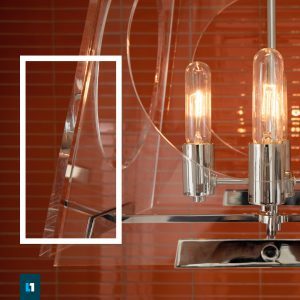 With options from leading brands such as Quoizel, you’ll be able to come away with amazing fixtures that match any trend that you choose to embrace this year. Discover your new lighting options today!